Leesburg, VA – (July 27th, 2015) – Macy’s will partner with Hire Our Heroes to invite customers to participate in Macy’s 10th annual national “Shop For A Cause” charity shopping event on August 29, 2015. Customers can purchase shopping passes from Hire Our Heroes now. Macy’s “Shop For A Cause” is a unique one-day-only shopping event created to support local charities’ fundraising efforts. Since 2006, the program has helped raise tens of millions of dollars for charities across the country. Macy’s has provided Hire Our Heroes with shopping passes to sell for $5 each.  Hire Our Heroes will keep 100 percent of every shopping pass it sells. The more Hire Our Heroes sells, the more money it will raise! By purchasing a shopping pass from Hire Our Heroes customers support Hire Our Heroes and their Mission in assisting transitioning veterans in a successful transition into his/her next carrier after they exit the military while enjoying a day of spectacular discounts, entertainment and special events at Macy’s. Pass holders will receive special discounts on most regular, sale and clearance purchases all day, but some exclusions apply. Employment is probably the top priority after health during the transition from the battlefield to the home-front for veterans. There are roughly 1 Million current unemployed veterans and another 1 Million currently separating from the armed forces over the next few years, and we need to support them just as that have supported us and our nations freedom, said Dan Caporale, Chairman and Founder of Hire Our Heroes. 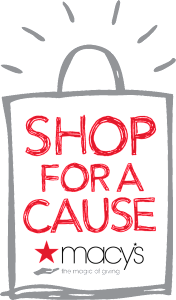 For more information about Macy’s “Shop For A Cause,” visit macys.com/shopforacause. Macy’s, the largest retail brand of Macy’s, Inc., delivers fashion and affordable luxury to customers at approximately 800 locations in 45 states, the District of Columbia, Puerto Rico and Guam, as well as to customers in the U.S. and more than 100 international destinations through its leading online store at macys.com. Via its stores, e-commerce site, mobile and social platforms, Macy’s offers distinctive assortments including the most desired family of exclusive and fashion brands for him, her and home. Macy’s is known for such epic events as Macy’s 4th of July Fireworks® and the Macy’s Thanksgiving Day Parade®, as well as spectacular fashion shows, culinary events, flower shows and celebrity appearances. Macy’s flagship stores — including Herald Square in New York City, Union Square in San Francisco, State Street in Chicago, and Dadeland in Miami and South Coast Plaza in southern California — are known internationally and are leading destinations for visitors. Building on a more than 150-year tradition, and with the collective support of customers and employees, Macy’s helps strengthen communities by supporting local and national charities giving more than $70 million each year to help make a difference in the lives of our customers.